In November, Maine citizens will vote on Question 2, The Maine Tax on Incomes Exceeding $200,000 for Public Education Measure, which imposes an additional 3 percent tax on individual income taxes for earnings over $200,000 in order to supplement funding for K-12 public education. If enacted, Maine would jump to the 2nd highest top individual income tax rate in the country at 10.15 percent, trailing only California’s 13.3 percent top rate. Note: Maine’s tax schedule will be changing in January, with the 7.15 percent rate not starting until $50,000 in income for individuals and $100,000 for married couples. This is unrelated to Question 2. The Maine Office of Fiscal and Program Review estimates that the tax will raise revenue by approximately $142 million its first year and increase by $12 million or more each following year. The revenue will be deposited into a new state fund, the “Fund to Advance Public Kindergarten to Grade 12 Education.” The fund is then permitted to allocate money toward “direct support for student learning,” including teacher salaries, but excludes administrative salaries. 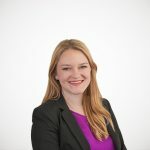 Currently, Maine avoids what’s known as a “marriage penalty“ by doubling its bracket widths for married filers, ensuring that married couples filing jointly don’t face a higher tax burden than if they were single. If Question 2 passes, the new $200,000 bracket would create a marriage penalty, as the 3 percent rate hike does not differentiate between individual and married filing jointly brackets. Opponents of the measure note that the tax will have a harmful effect on business, even though it is an individual income tax. This is because many businesses are set up as pass-through entities, meaning their profits are passed through to the business’s owners as income and they then pay personal income tax on those profits. Pass-through businesses now earn more net business income than their traditional business counterparts, C-Corporations. Using IRS data, The Maine Heritage Policy Center estimates that 11,450 pass-through business owners will be affected by the Question 2 tax hike. As we have previously noted, high marginal tax rates have a negative effect on entrepreneurial entry, discouraging investment in new business opportunities, and cutting potential returns to those investments. They can also make it harder for firms to attract new workers (who pay individual income taxes) to their state, which can have a long-term chilling effect on business location decisions. As states try to foster economic growth through business-friendly tax environments, they should keep in mind that individual income taxes should be considered alongside corporate income tax rates. 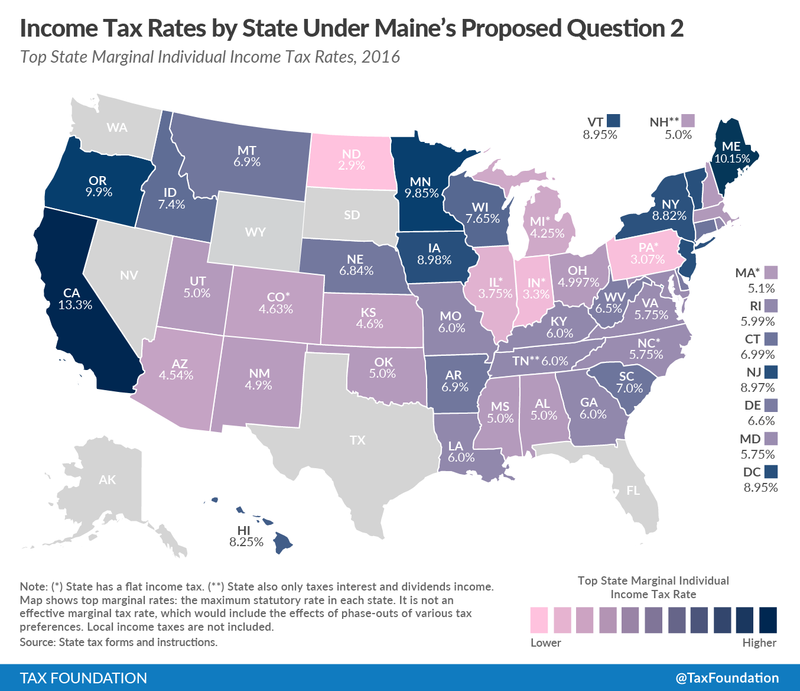 This tax increase would ultimately make Maine less competitive, giving Maine the highest top marginal individual income tax rate in the Northeastern region of the country, as seen in the map above. In our 2017 State Business Tax Climate Index, Maine is ranked overall as 30th in the country. However, if Question 2 were enacted, it would drop to 45th overall, in the bottom ten for tax structures in the country.